If you book a stay with Innsbrook Country Club & Resort, you are choosing to vacation near countless popular tourist attractions in historical Ruidoso, New Mexico. We love talking about the various attractions surrounding our rental properties! Innsbrook Country Club & Resort has highlighted the best museums in Ruidoso, NM filled with history and plenty to see. Trust us when we say that your visit will feel incomplete without seeing the town through the eyes of an artist. Art easily opens new avenues of exploration, history, and culture. 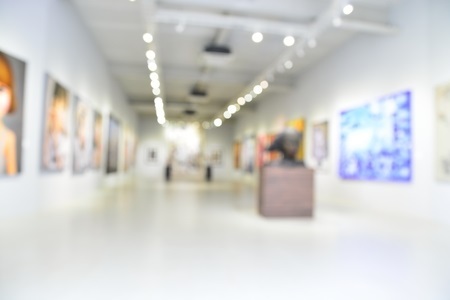 Art enthusiasts should add Kenneth Wyatt Galleries on their list of best museums to visit in Ruidoso. View beautiful original art from Kenneth Wyatt, Jill Wyatt Marshall and Jake Marshall, along with fabulous art reproductions, sculptures, Christian art, books, and more. Find unique jewelry and cards for all occasions. See gorgeous artwork of landscapes, children, flowers, and animals. Find something for all members of the family and hear the stories and histories behind the artwork. Experience over 155 years of New Mexico’s history by taking a trip to the Fort Stanton Historic Site, a fort established in 1855 and located just thirty minutes or so away from us. Fort Stanton served as a military structure from 1855 to 1896 before becoming a tuberculosis hospital in 1899 to 1953. The fort also served a span as an internment camp for German seaman in WWII. Built along the Bonito River, a trip to Fort Stanton Historic Site includes beautiful landscapes and views of the gorgeous Sierra Blanca peak. Visit the Fort Stanton Museum to bring the rich history and heritage of the Ruidoso area to life. To learn about western culture through images of the west, ancient tools, technology, transportation, and more, visit the Hubbard Museum of the American West. Founded in 1989 as the Hubbard Museum, R.D. and Joan Dale Hubbard originally created the Hubbard Museum of the American West to handle their personal art collection. Anne Stradling, a woman with an extensive horse-related art collection, donated her collection to the Hubbard family in 1989. In 2005, the Hubbard family gave the museum to the City of Ruidoso Downs to become what is one of the most interesting collections of western history in Ruidoso. If you’re planning a trip to New Mexico, consider visiting Lincoln, New Mexico. It is near Ruidoso and has tons of history and several museums including the Billy the Kid Museum and the Lincoln Historic Site. Both of these popular historical attractions are appropriate for people of all ages and are just a short drive from Ruidoso, NM. If you haven’t yet booked your trip to Ruidoso, choose Innsbrook Country Club & Resort for a relaxing vacation close to many local attractions worth seeing.